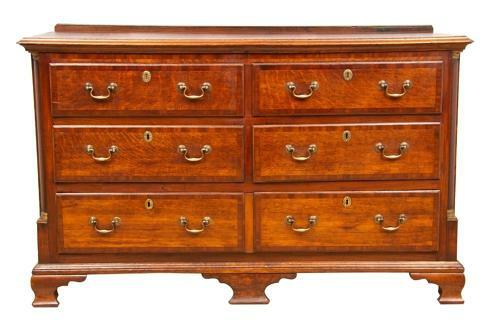 Oak & Mahogany Cross Banded Bank of Drawers c.1700's. This has a lovely colour and although restored by us it retains its authentic patina and depth of colour. All drawers run smoothly.All works have been carried out using traditional methods and timbers. An enormously practical mule chest.